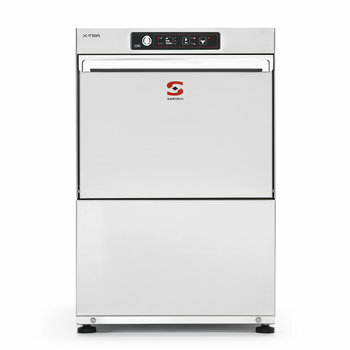 Sammic SUPRA: electronic range with cycle selection. 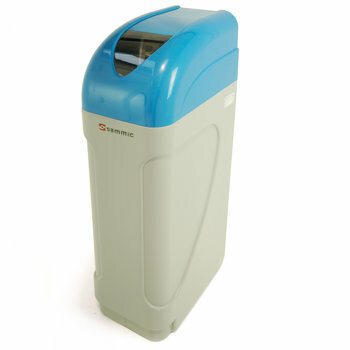 Complete with wash and rinse temperature display, double-walled construction and cold rinse facility. 400x400 mm. basket and a maximum glass height of 280mm. 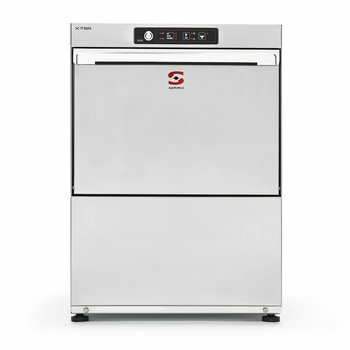 Sammic X-TRA: electronic range with cycle selection and cold rinse facility. With 350x350mm. or 400x400 mm. basket and a maximum glass height of up to 280 mm., this line offers a wide choice of extra options. Sammic PRO: as a starting point, Sammic offers an electro-mechanical range with 350x350mm. or 400x400mm. 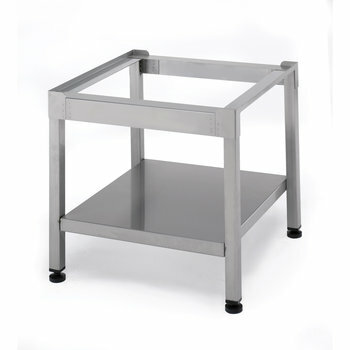 basket and a maximum glass height of up to 280 mm. Commercial glass-washers to obtain professional results with total guarantee. 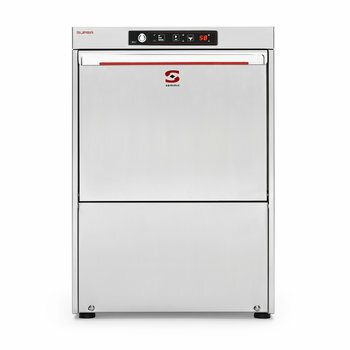 Electromechanical glasswashers that are easy and intuitive to use. Glasswashers with a max. loading height of up to 280mm and an independent boiler in all models. Achieve professional results with low consumption. To wash 30 baskets/hour. 350x350mm racks. Max. loading height: 220mm. 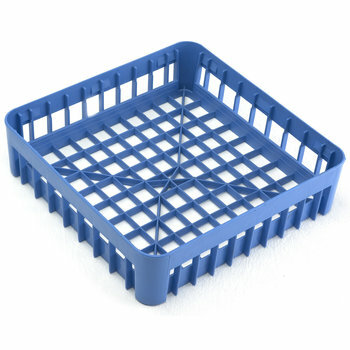 To wash 30 baskets/hour. 400x400mm racks. Max. loading height: 280mm. 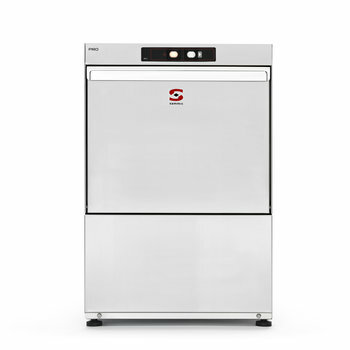 Glass-washers with a "soft" control panel and cycle selection. 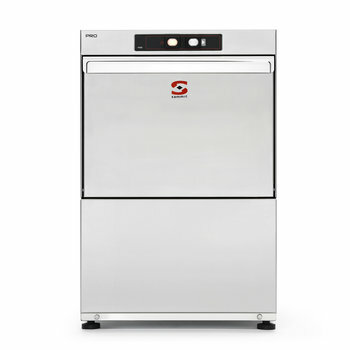 These glasswashers include cold rinsing facility as standard. 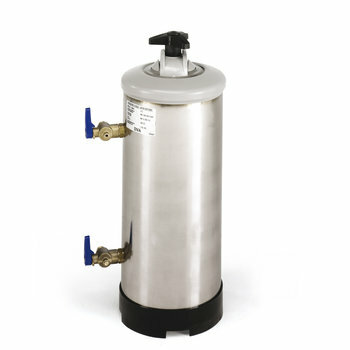 You can also choose extras such as drain pumps or incorporated water softener. Glasswashers fully double skinned resulting in thermal and acoustic insulation, which translates into limited consumption and a quieter working environment. "Soft" control panel where you can select cycles and visualise temperatures. Cold rinse facility is included. 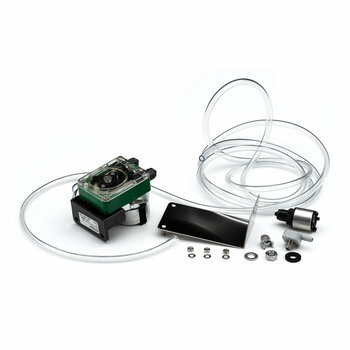 Sammic SUPRA also offers an extensive catalogue of extras such as drain pumps or incorporated water softener. 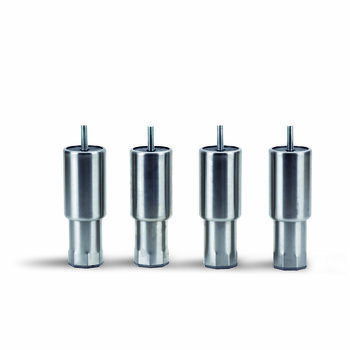 Cycle duration 120/ / " 120/ / " 90/120/150" 90/120/150" 90/120/150" 90/120/150"
Specially indicated for the restaurant industry and bars and any other application where water for industrial use is required. 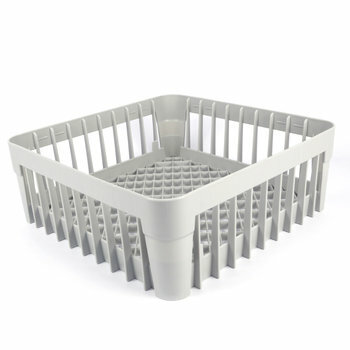 Open round basket Ø360 / Ø380 mm. 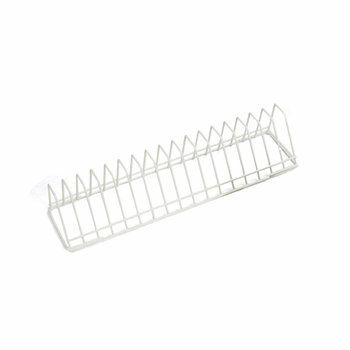 400x400 basket for glasses and plates. Available for different glass and dishwashers.